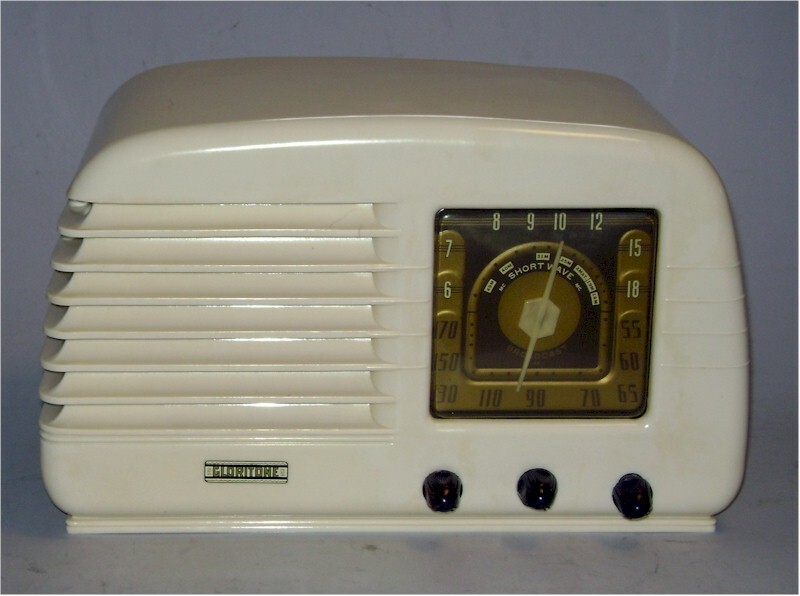 Six-tube Plaskon radio, made about 1940. It uses the Continental K6 chassis. The Gloritone name must've gotten purchased in the late '30s after the original company went out of business at the beginning of the Depression.